Modern clean lines and a truly elegant design aesthetic meet affordability in the Wyndham Collection Amare Vanity. Available with green glass or pure white man-made stone counters and featuring soft close door hinges and drawer glides, you'll never hear a noisy door again. Meticulously finished with brushed Chrome hardware, the attention to detail on this elegant contemporary vanity is unrivalled. 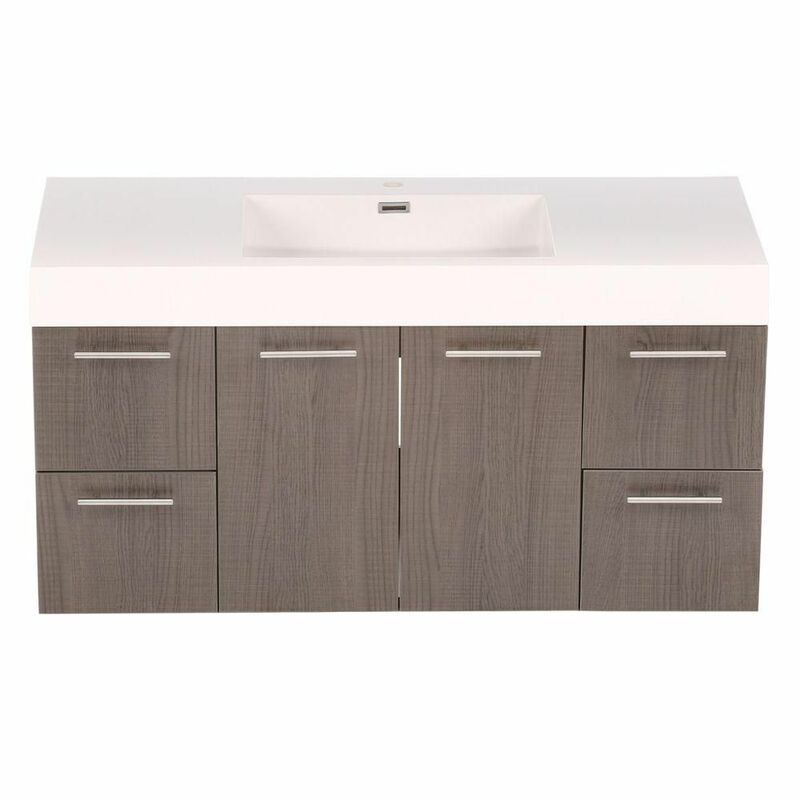 Amare 48-inch Vanity in Grey Oak with Acrylic-Resin Vanity Top in White and Integrated Sink Modern clean lines and a truly elegant design aesthetic meet affordability in the Wyndham Collection Amare Vanity. Available with green glass or pure white man-made stone counters and featuring soft close door hinges and drawer glides, you'll never hear a noisy door again. Meticulously finished with brushed Chrome hardware, the attention to detail on this elegant contemporary vanity is unrivalled. Amare 48-inch Vanity in Grey Oak with Acrylic-Resin Vanity Top in White and Integrated Sink is rated 5.0 out of 5 by 1. Rated 5 out of 5 by beachgal from Nice Looking Vanity This product was installed in a rental unit, so I have not used it personally. It does look great.